Is your dog a diva? Does he love to dress up? Does she steal the show? 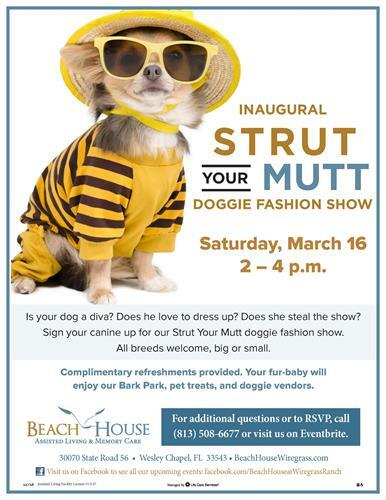 Sign your canine up for our Strut your Mutt doggie Fashion Show. All breeds welcome, big or small. Complimentary refreshments provided. Your fur-baby will enjoy our Bark Park, pet treats and doggie vendors.